Gold Cup regular The Giant Bolster has been given a big vote of confidence by his handler David Bridgwater with the Festival now just over a week away. The 2012 runner-up, who was challenging two out before eventually coming fourth in last year’s Festival showpiece scored for the first time in almost exactly two years at Cheltenham at the end of January with a performance that clearly has got his trainer thinking about going all the way this time. Encouragingly, the popular nine-year-old has never arrived at Prestbury Park off the back of a win and the manner of his seven length defeat of potential Gold Cup rival Rocky Creek gave the impression that he is coming to the boil at exactly the time Bridgwater would have planned. Currently 16/1 for the Friday highlight, the race has lost some star quality with the withdrawal of ultra-impressive Betfair Chase winner Cue Card, however, Bridgwater and the connections of the remaining runners won’t be too concerned with one less top quality opponent to overcome. Jean Bishop’s star has only won five times and three of those victories have come at Cheltenham on the chase course with his best performances at the track’s headline meeting being reserved for its biggest race of all. 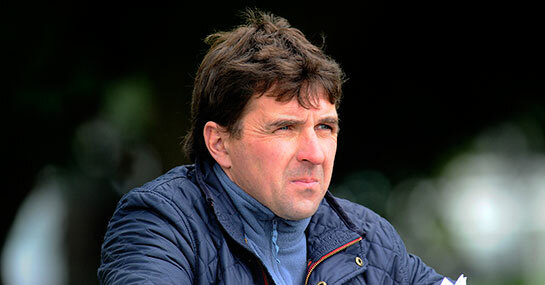 Another positive of note comes with the big-race form of Bridgwater and his stables at Wyck Hill Farm in the Cotswolds. With the horse named after the yard, JP McManus’ star stayed on best of all to land the valuable Eider Handicap at Newcastle and everyone at the farm will know what a fillip that could be for the future with such a dynamic, affluent and now impressed owner investing. Whatever happens with McManus in the future is yet to be seen but for now most of the energy and focus at Wyck Hill will be on The Giant Bolster and his bid for immortality at last.